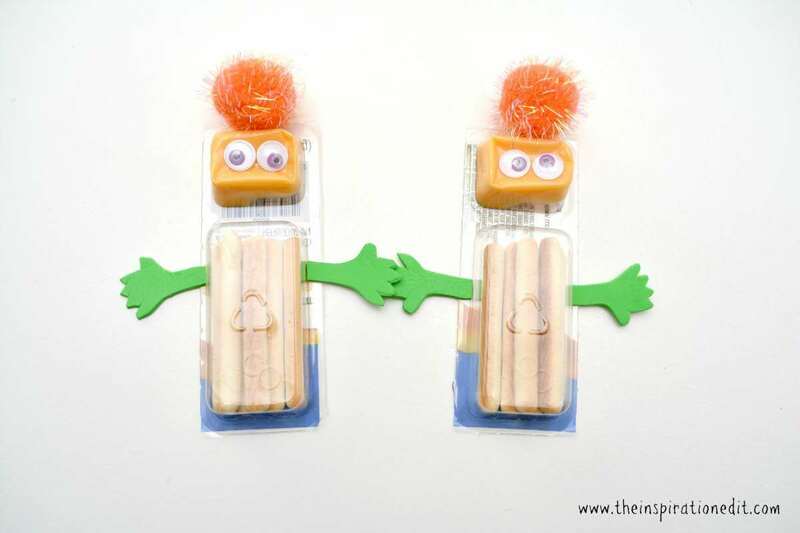 Today on the blog we are sharing Halloween Monsters Cheese and Crackers snack ideas. 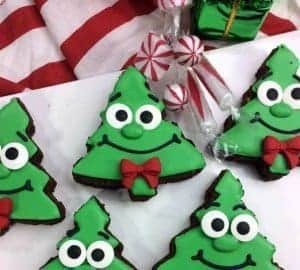 This is a simple and easy way to decorate a home snack which the kids will enjoy. You won’t need many items and the end result is really effective. Let me know what you think. 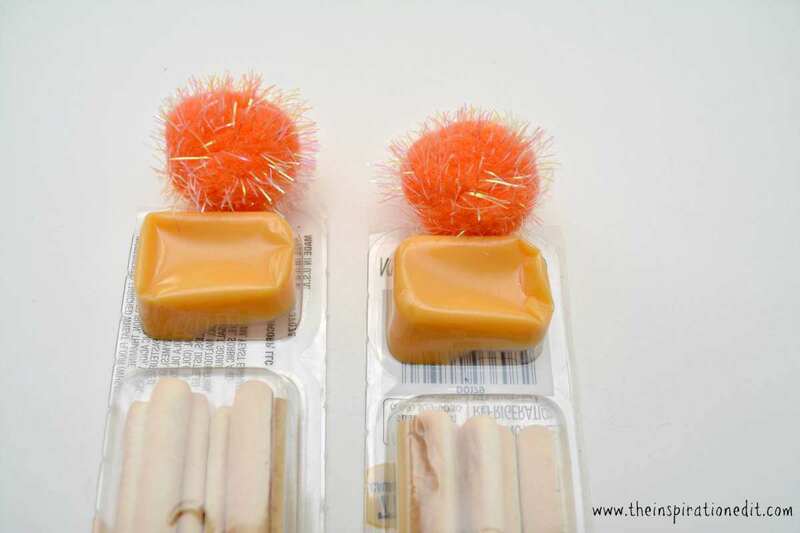 Begin by gluing a craft pom pom to the top of the backside of your cheese and crackers package, above the cheese compartment. Glue two googly eyes on the cheese compartment of the package below the craft pom pom that you just applied. 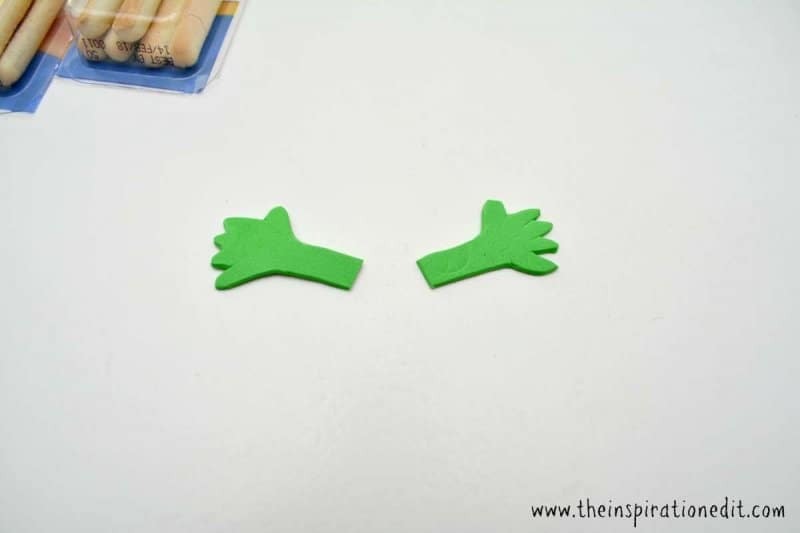 Use scissors to cut two arm and hand shapes out of the green craft foam. Hot glue the arms to the sides of the cracker compartment of your snack. thanks. It is simple and fast. Haha this is such a cute idea! So simple but so effective, I love your themes. Am definitely going to try some of these, thank you! What a cute little idea! My daughter would love this & even want to help make it! Thanks for sharing! 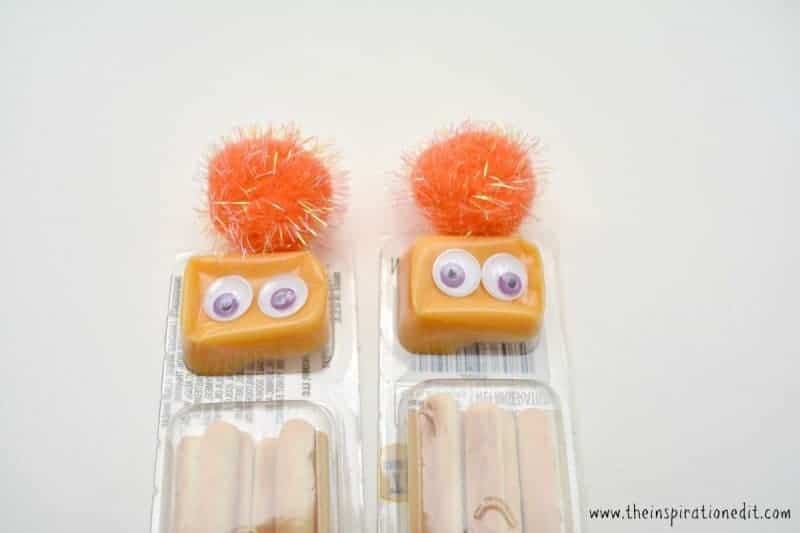 What a super quick and easy way to spookify the kids snacks! thanks. 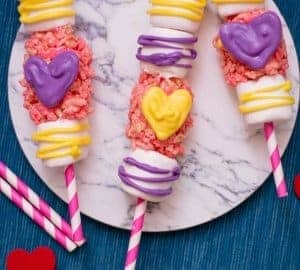 It is a fun snack idea. I’m a firm believer that googley eyes make anything and everything fun! Cute idea! !